Following the World Cup, Lukas Podolski’s stock is rapidly on the rise and considering the potential threat of Ronaldinho leaving Serie A this season to return to Brazil could mean that the German secondary striker will be transferred in to replace the rejuvenated attacking midfielder. But in order to land Podolski AC Milan will have to part ways with another potential star player in Dutchman Klaas-Jan Huntelaar. 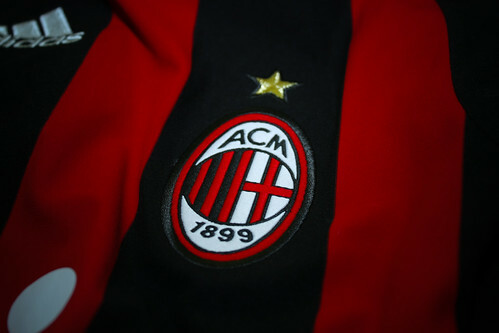 Huntelaar never successfully found a starting position with the Rossoneri and the young forward is desired by several EPL teams this upcoming fall and is likely on his way out of Milan for good. Unlike Huntelaar, Podolski is the type of player that can play a variety of positions and is likely penciled in as a potential replacement for Ronaldinho at attacking midfield although the young German is also quite competent as a forward as well. Ronaldinho’s brother and agent recently announced that Ronnie is interested in staying in Italy and that the reports that the Brazilian has already worked out a deal with another club is a myth, but with the rumors spreading that he is actually negotiating with Brazilan club Flamingo, AC Milan would rather be safe then sorry this upcoming season. Podolski will arrive only if one condition is met and that is the transfer of Huntelaar to the (English) Premier League, which would then open a few paths from a financial standpoint. Podolski is coming off of a frustrating season in Germany’s Bundesliga in which the secondary striker was usually used as a reserve off of the bench. Although his Bayern Munich side made it to the final match, Podolski would only score three goals for the side over the course of the season. The German forward would be expected to make a much bigger impact for his new Serie A side if the deal goes through.